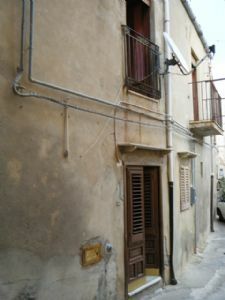 Well maintained 100 square meters end of terrace town house. Built on two floors with all the night area upstairs. Positioned in the historical area of Caccamo. All services are connected to the property. There is gas heating in the bedroom and dining room. The dining room also has a built in fireplace. The garage included can be accessed from the internal, which could become an extra living area.